NEW !! 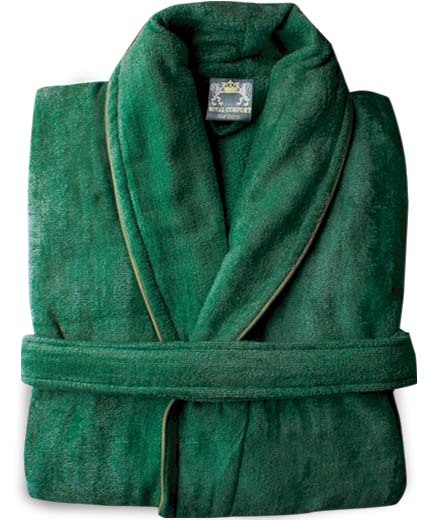 The best Bath Robe for your buck ! Arriving End of January. 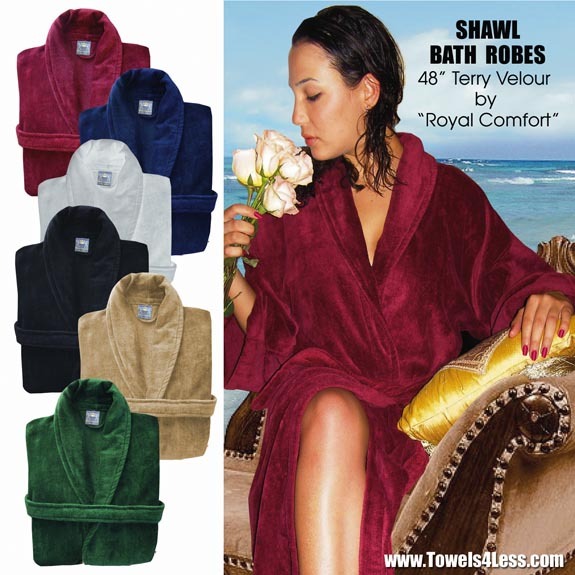 48" Kimono Style velour Bath Robe. 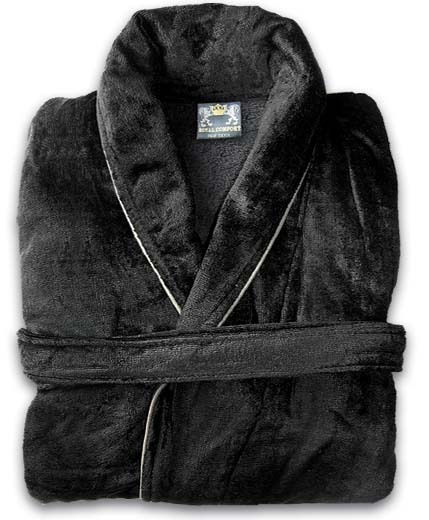 This robe is made from quality Combed Cotton velour. Pack 12 per case, 6 colors available, on sale while quantities last. Please enter the amount of cases you wish to buy, price will adjust accordingly. The perfect guest bath robe you can find. Top quality in a one size fits all package. 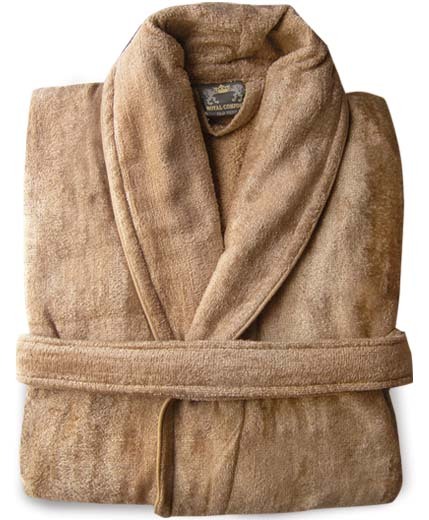 This 48" Sheered Velour bath robe is excellent add on to our line of hotel towels. Pack 12 per case, and with 1 case minimum you can not beat this price. Each bath robe weighs approx 3 Lbs. Sizes: 48 " One Size Fits Most. Weight:3 Lbs Each Bath Robe. Schools, Private Clubs, Country Clubs, Home use. 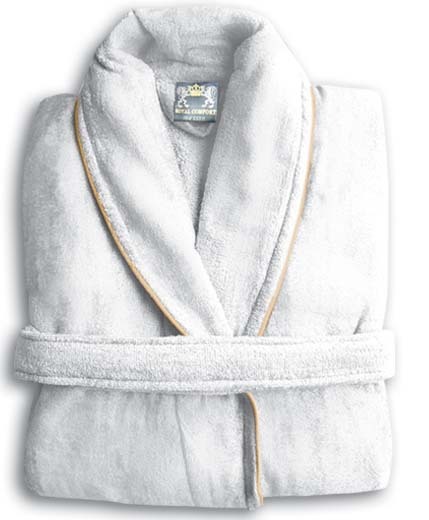 Buy a case of 12 pay $22.00 ea per robe. The Same robe but with the distinguished Shawl Collar. Top quality in a one size fits all package. 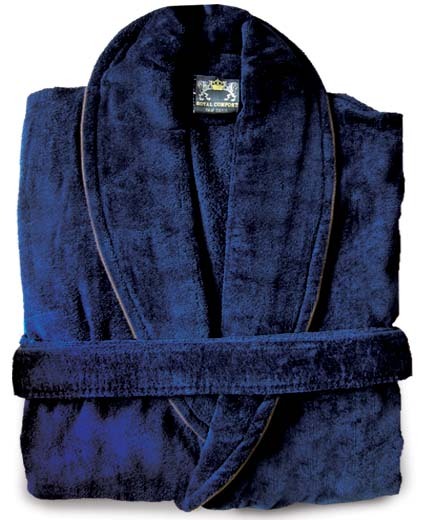 This 48" Sheered Velour bath robe is excellent add on to our line of hotel towels. Pack 12 per case, and with 1 case minimum you can not beat this price. Each bath robe weighs approx 3 Lbs. Buy a case of 12 pay $27.86 ea per robe. Item No. 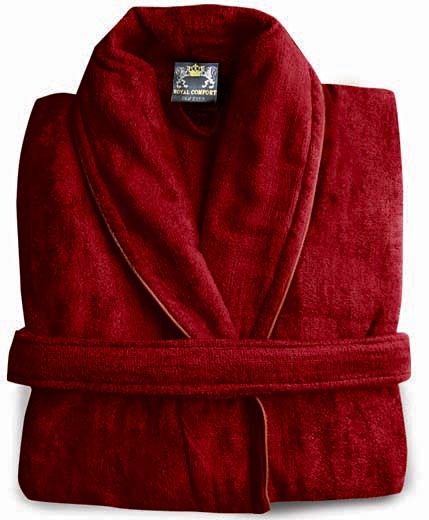 4 SILK VELOUR BATH ROBE , NEW !!! Buy a case of 12 pay $26.50 ea per robe.